The Vintage Bus Company is a Kent based bus operator with a beautiful fleet of heritage vehicles available for hire. From the classic London Routemasters to an iconic London black cab and a quirky Maltese bus, we’ve lovingly restored all of our vehicles ourselves to make sure they’re tip-top condition. Travelling with The Vintage Bus Company, you can be guaranteed of a journey packed with nostalgia, fun and excitement. Our vintage buses are available for hire for weddings, parties and corporate events. Stylish, immaculately presented and authentically restored, our fleet are fully insured, licensed and driven by experienced, uniformed drivers who are dedicated to providing an honest service and brilliant experience. Owned by Kent's largest independent bus operator, we know a thing or two about buses and are unashamedly obsessed with our heritage fleet. We look forward to welcoming you and your guests aboard! 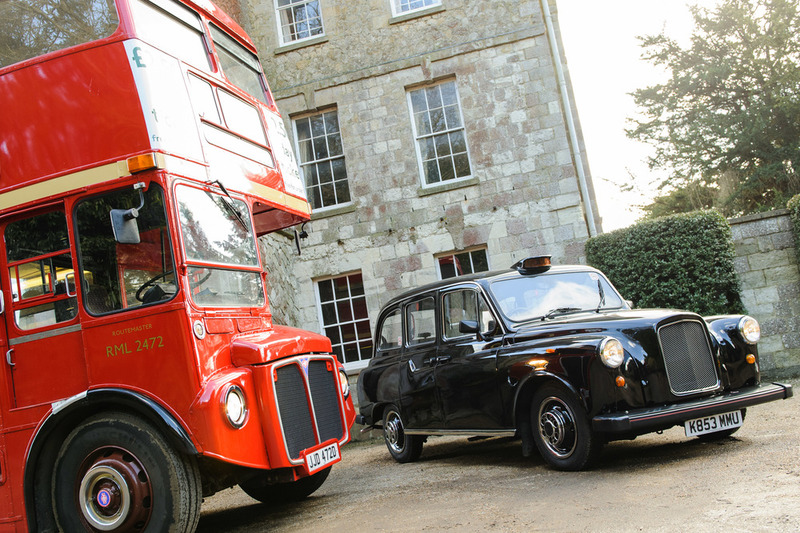 From a lovingly restored vintage Route Master to an authentic Black Cab, we have the fleet and experience to make sure you arrive on time and in style. 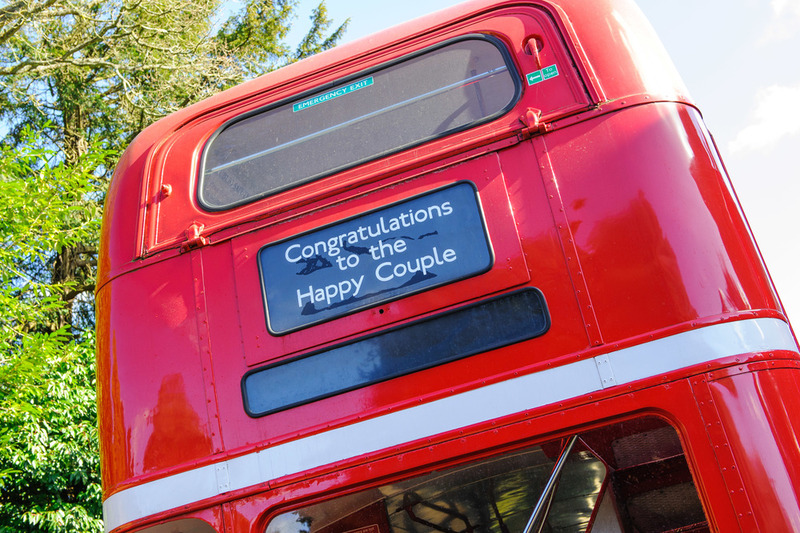 Hiring a vintage London Routemaster for your wedding or party provides guests with a brilliantly nostalgic experience. Holding up to 72 people, they’re ideal to carry guests from your church to your reception venue. They’re also very popular for parties where a large number of people need to get from one place to another. The Vintage Bus Company owns two London Routemaster vintage buses, enabling us to carry a combined party of up to 144 guests. Whatever your event, our team will work with you to plan your journey and any personalised details to make the experience extra special. We always do a practice run to ensure a smooth journey, and to double check our timings ahead of your event. Our fleet of vintage vehicles are incredibly popular for weddings, parties and events across Kent. Our London Routmasters look amazing dressed in ribbons, which we provide as standard for wedding hire. Additionally, we offer the option of personalised blinds to display the couple’s names with a personalised message, which can be kept as a momento of the day. If you’d like to decorate the buses with flowers, balloons or banners you’re welcome to do so – please let us know what you’d like to do when you book and we’ll discuss your plans. We’re very happy to work with you and make sure that the vehicles look exactly as you’d like them to for your special day. The Vintage Bus Company own a fleet of heritage vehicles in immaculate condition. All lovingly restored by owner Austin, we own two London Routemasters, a black London cab and a stunning Maltese bus.